Welcome to another la-la land club kit post. 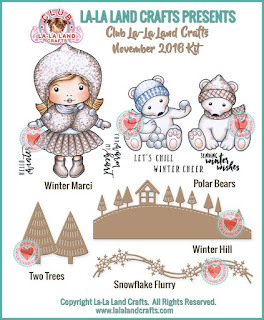 Today I'm showing you my projects made with November club kit. 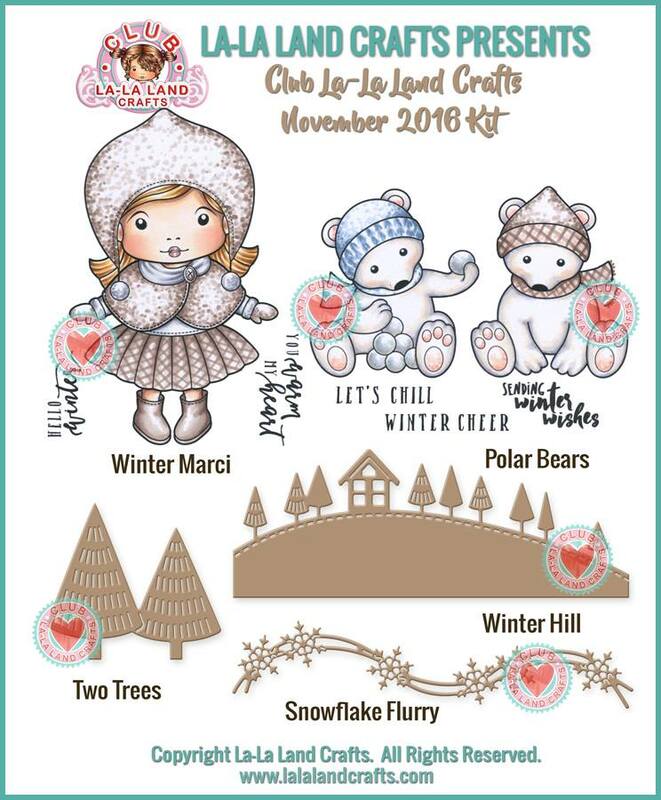 I made two Winter cards with this kit. On the first card I used Polar bears. I coloured them with Distress ink pads. Papers used are from Maja Design. For my second project I made a shaker card with Winter Marci. ... you can find a lot of different pretty things inside the shaker. Papers are again from Maja Design. You always know how to create a magic with any stamp! Gorgeous cards!